A couple of people asked about the recipe for bulgogi style seitan, so here it is!! 1. Soak the mushrooms and soybeans overnight. 2. Squeeze the mushrooms well. 3. 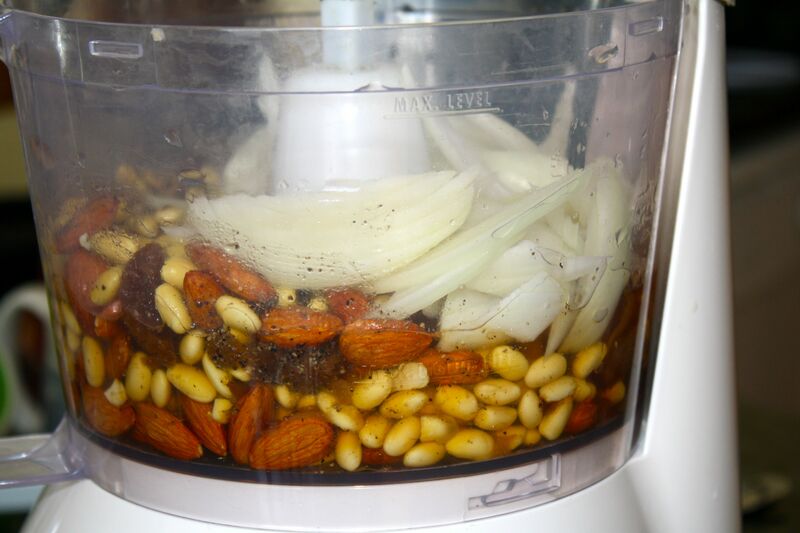 Pulse the nuts in a food processor until fine and then add all the remaining dry ingredients, except gluten. 4. Add liquid ingredients, including enough of the vegetable broth so the other ingredients are barely covered. (Do not put too much broth, as it will make your seitan too soft!) Blend until very fine. 6. When it is done, shape into small bread loaves. It usually makes six for us. 7. 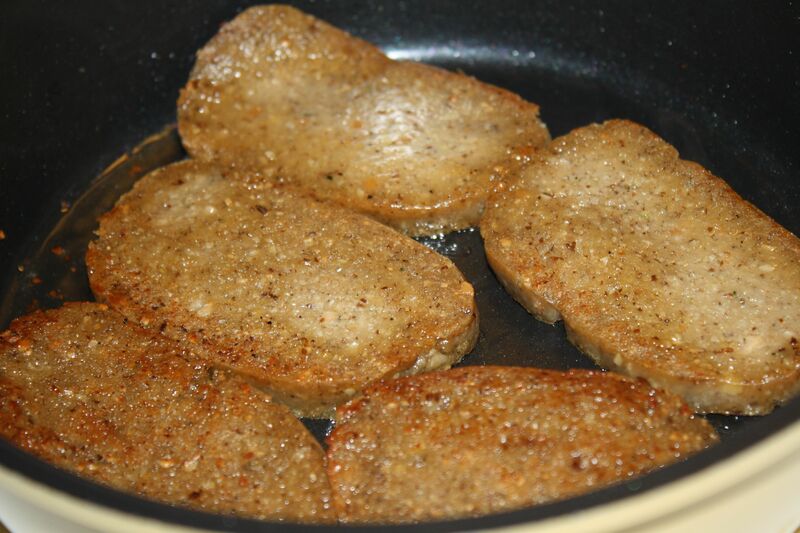 Take a loaf and slice into half inch slices and cook on an oiled skillet until brown on both sides. 9. Remove from heat, cool, cut and use for bulgogi. 10. Freeze the leftover loaves for future use. Just thaw and slice and cook again. 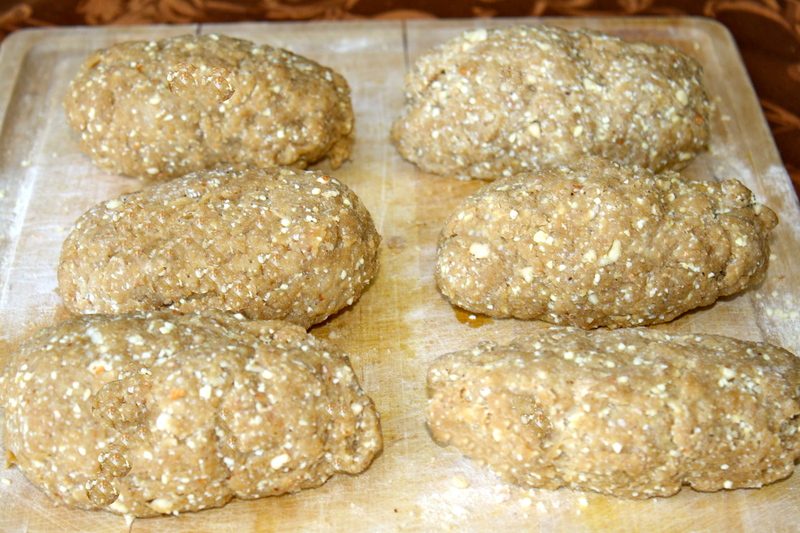 Seitan ingredients. 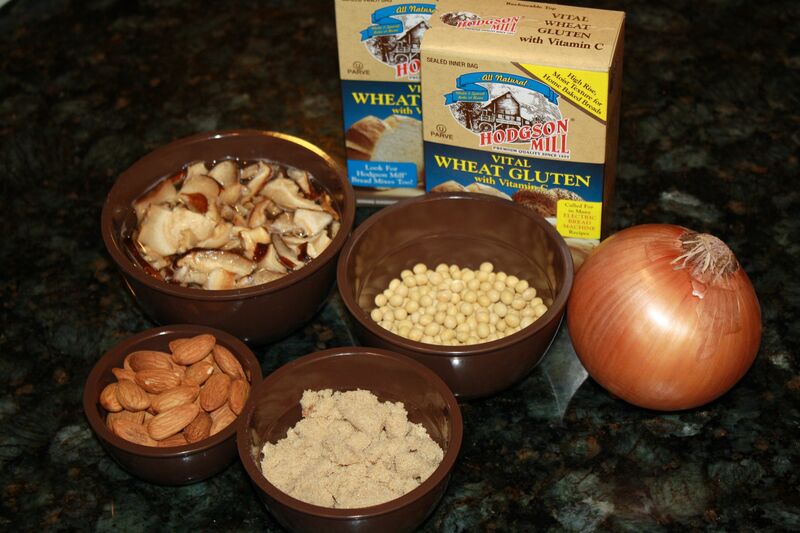 There are several gluten brands and they all work pretty well, but we definitely prefer Bob’s Red Mill to this Hodgson brand, which we are now trying to use up. We also think cashews are a yummier alternative to the other nuts and I sometime add beets, carrots or potatoes if I feel like it. 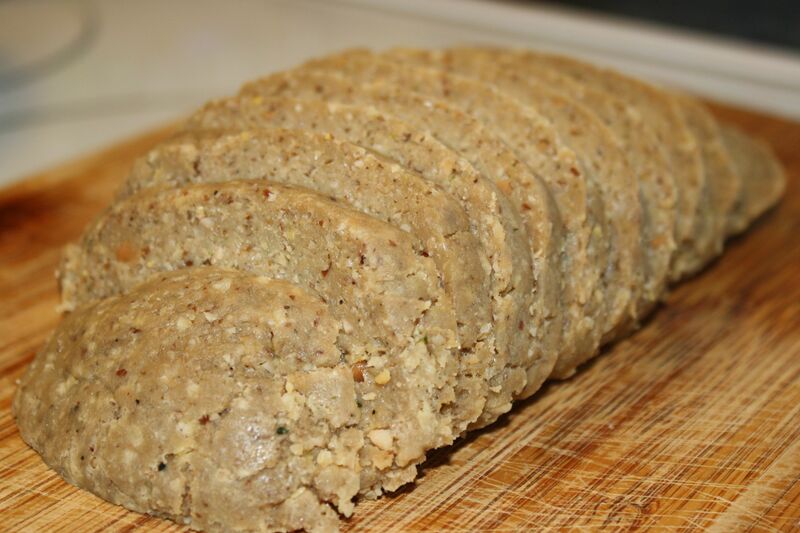 So be creative and experiment with different ingredients for your seitan! Blend till it’s very, very fine. 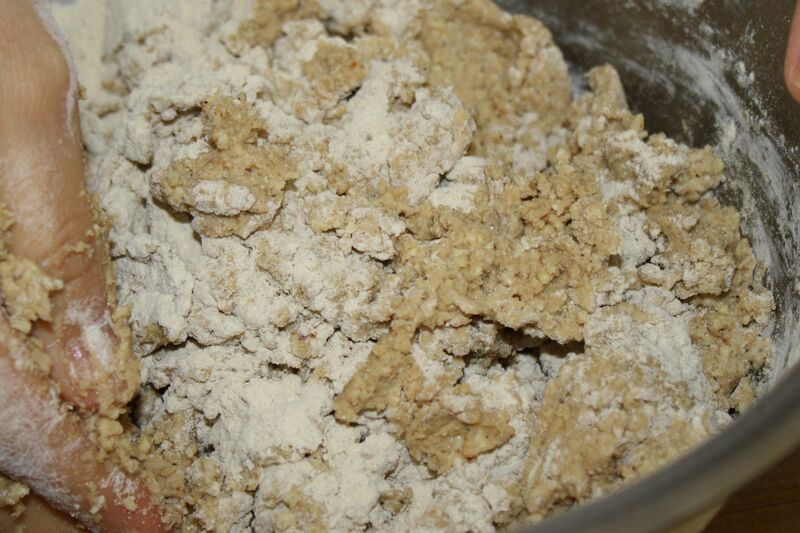 The blended seitan mix – without the gluten yet! 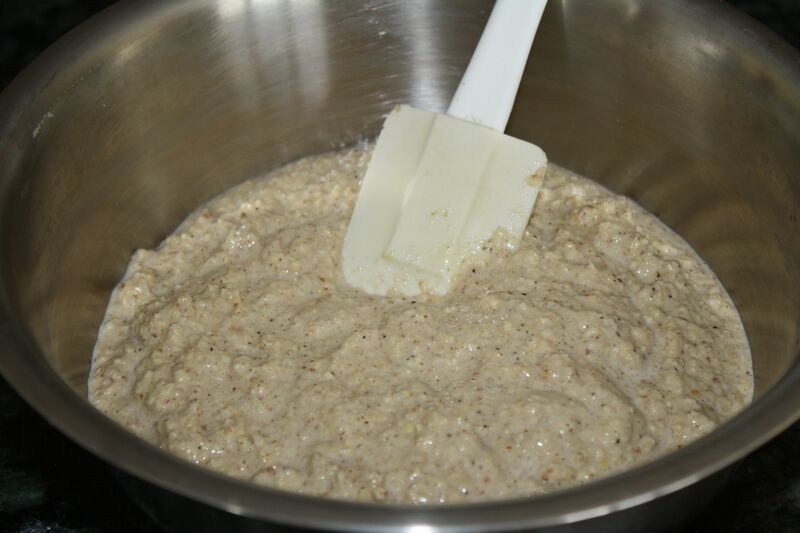 Add the gluten, and make sure to knead for a while so it gets a nice texture! It usually makes around six small loaves for us. We use one loaf for about two generous servings of bulgogi. We cook the slices in a skillet and cut them into small pieces before we use it for bulgogi, yummy! 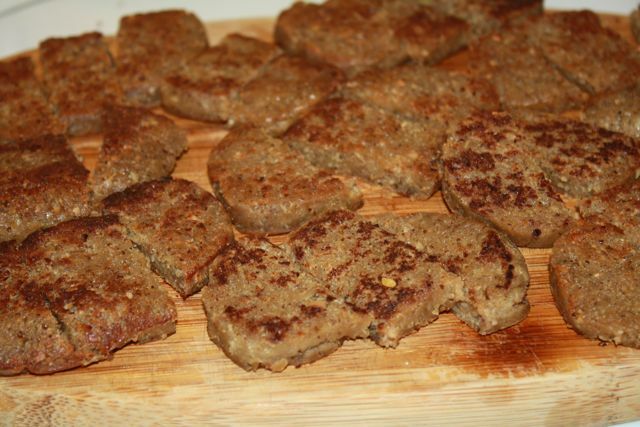 Your seitan looks delcious! I can’t wait to try it. One question, though. I am onion intolerant, so I can’t use onions or any of it’s relatives, like leeks or shallots. I can oddly enough eat scallions. Can I replace the onions with some scallions or should I just try to omit the onions all together? Hi Sunnie! Thanks! I am going to make it this week for your gochujang bulgogi recipe. I’ll let you know how it turns out. Though I am sure it’s going to be great. 🙂 Oh and I prefer Bob’s Mill gluten too. It’s the only brand I use now, though it can be hard to find. Awesome, yes let us know if it turned out okay, I hope you enjoy it! Julie, that is wonderful. I am so happy to hear that it turned out well and that everyone liked it. Thanks for letting me know, it made my day!